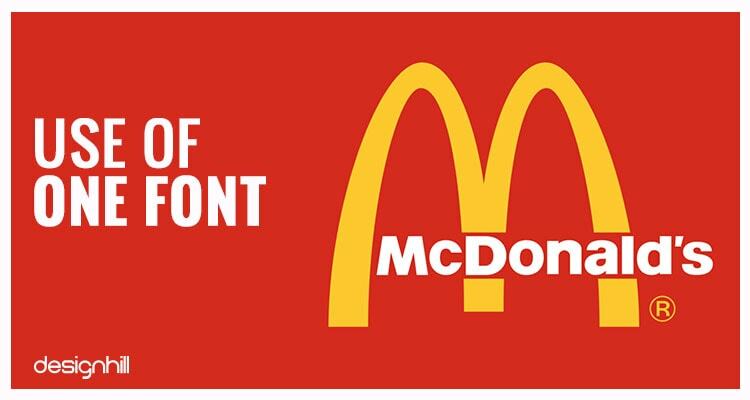 McDonald’s iconic logo has gone through many changes during the course of its history. The logo was just a simple sketch of a chef in black and white in the 1940s. Now it has been transformed into one of the most recognized logos. Here is the logo evolution history. McDonald’s is a top global brand and constantly ranks alongside some of the world’s most popular fast food chains today with several franchises operating successfully, in almost every country. The McDonald’s iconic logo has become interestingly synonymous with the America’s love for burgers, fries, and ice creams. The story of McDonald’s current logo design is as interesting as their offerings.Quite naturally, the exciting story of its evolution requires a little elaboration.In this blog, we take a dig at some of the early versions of McDonald’s iconic logo design and its gradual evolution till date. McDonald’s was opened by brothers Richard and Maurice McDonald in San Bernardina, California in the year 1940. During that time, barbecue and burgers were the only specialties of McDonald’s. Within a short span of eight years, they mastered the art of serving delectable fast food delicacies in no time. And to make their ‘Speeder Service System’ popular, they came up with a winking tubby chef Speederlogo by graphic design services. In 1952, McDonald brothers hired a sign-maker, George Dexter to incorporate in logo design two giant golden (yellow) arches on both sides of the building. When viewed from an angle, these yellow arches resembled the letter ‘M’.However, these ‘golden Arches’ were finally added to the corporate logo design of McDonald’s when Ray Kroc acquired the company in 1961. 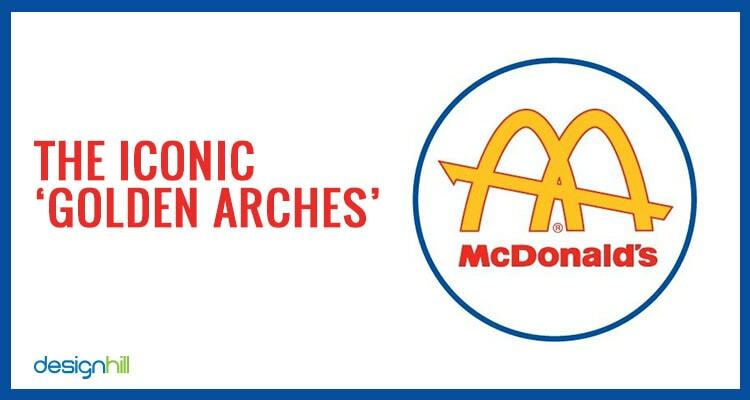 Jim Schindler, the constructions and engineering head of McDonald’s, added a slanting line running through the arches in the logo in a bid to symbolize the roof of the store. 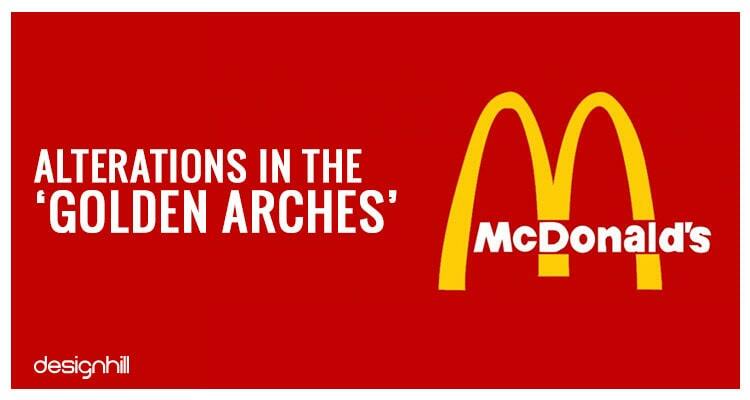 This is how McDonald’s got its iconic ‘Golden Arch’ logo. By the ’70s, the ‘Golden Arches’ became instantly recognizable and helped company establish as one of the most sought after brands. From then till 2010, the design underwent several iterations and redesigns. Between 1975 and 2006, the popular food logo design was framed by a solid red rectangle and between 1992 and 2009 the ‘Golden Arches’ were given a brighter hue. A unique shadowed version of these ‘Golden Arches’ also made rounds between 1993 and 2010. The official McDonald’s Corporation logo, the ‘Golden Arches’ tagline I’m lovin‘ it, came into existence when McDonald’s advertising campaign created by Heye & Partner GmbH in the year 2003 made history in Germany, UK, Australia and USA. It was the super success of this advertisement campaign that made McDonald’s corporation embrace the ‘Golden Arches’ coupled by the tagline as its official corporate logo. Since then, the company’s logo has become one of the most iconic marks in the logo history. 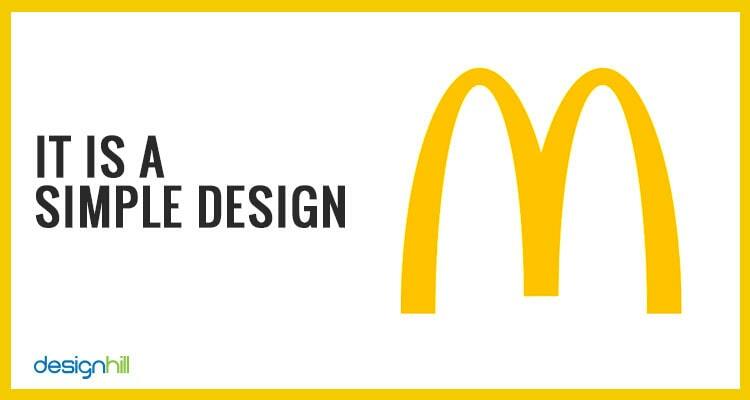 With such a powerful logo design, McDonald’s is sure to tickle pink the fancy of epicureans and gluttons for many more decades to come.You may also be looking for creating a memorable logo design for your business. A key feature of iconic logo designs is that they all are simple designs. Take for example the McDonald’s logo. The company has been eliminating its unnecessary elements over the years. So, the logo was a bulky black and white design in the beginning. But gradually it became thinner with the time. Even the three arches were little heavy designs, which now have been cut down to a simple yellow arch. So, make sure that your logo design has no clutter of lines, shapes, colors, and typefaces. Nike’s swoosh logo is another inspirational simple design. A great logo has only one or two colors. A purpose of colors in a logo is to evoke right feelings from the viewers, who are target customers. These very feelings then become the logo’s or company’s brand message for the audience. So, make sure that you use only a few colors. This way, your message will be clear to the viewers. Most of the iconic logos have the simplicity of colors. There are only a few great logos which have a rainbow of colors. Another characteristic of an iconic logo is that it has usually one typeface. For example, McDonald has the company name in one font. That makes the logo a pleasing design. Remember that you should choose a typeface depending on your brand personality. A sans-serif font should be used when a company wants to project a friendly and informal image. A serif font should be the preference when the brand image should be a professional and formal business or service. For example, a logo of a law firm can have serif fonts to express the formal environment of a legal court. An iconic logo conveys a brand message clearly. When people see such a logo they are immediately drawn to its design. This means they have got the message. The swoosh design of Nike logo is a message that the company makes correct shoes for the sportspersons. 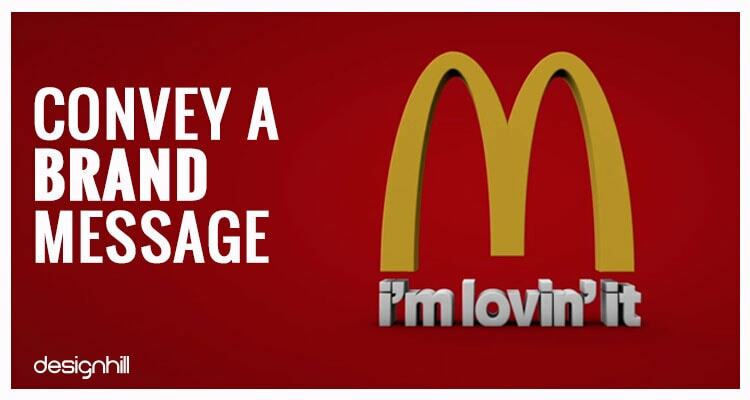 McDonald’s logo has arches which give the message of the company’s quality fast foods. An experienced graphic designer incorporates fonts and colors to deliver the brand message. So, know your message first. Then pick right elements to build a brand through a logo. So, these are the key considerations you should make when designing your logo. Make sure that the logo is a unique, simple, and inspirational design to make a lasting impression on the viewers. If you need a memorable logo design for your small business, crowdsource the work to Designhill, a leading graphic design marketplace. You get dozens of new logo concepts at one affordable price. Designhill has 100% Money Back Guarantee policy. McDonald’s logo design is iconic but the logo started its journey on a humble note. In the beginning, the logo was a bulky black and white cartoonish figure of a chef. Then, it was transformed into a letter M, which stands for the company’s name. The letter M was designed to look like arches in yellow. This change in the logo helped in building the fast food brand.